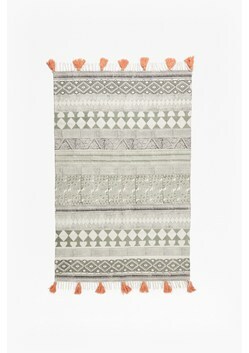 Inspired by traditional Aztec prints, the Aztec Geo Rug has striking appearance. The vast rug has neutral tones which allow the intricate pattern to stand out, with rows of different designs merging to create a bold piece. 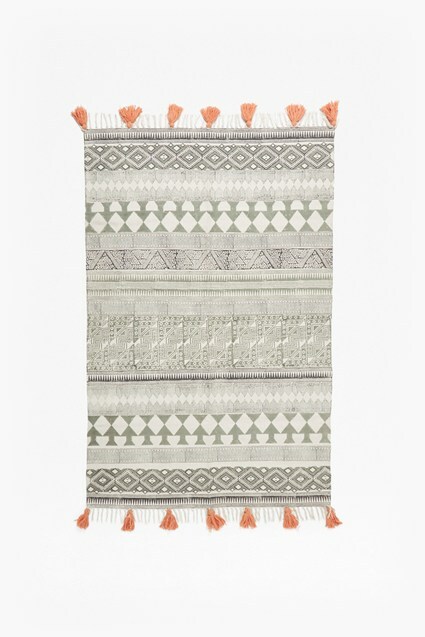 White and coral tassels bring fresh colour to the rug, breathing life into the neutral tones. 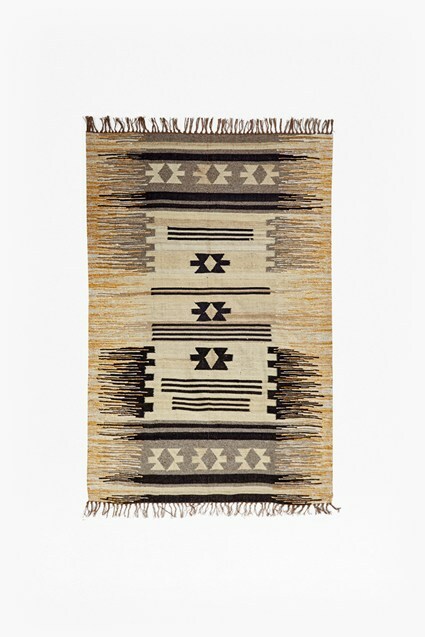 Make this unique piece the focal point of any room.